Add value and protection to your playground or outdoor area with our commercial grade Shelters and Shades. Shelters- Ready to add value and interest to your park, community center, or school? 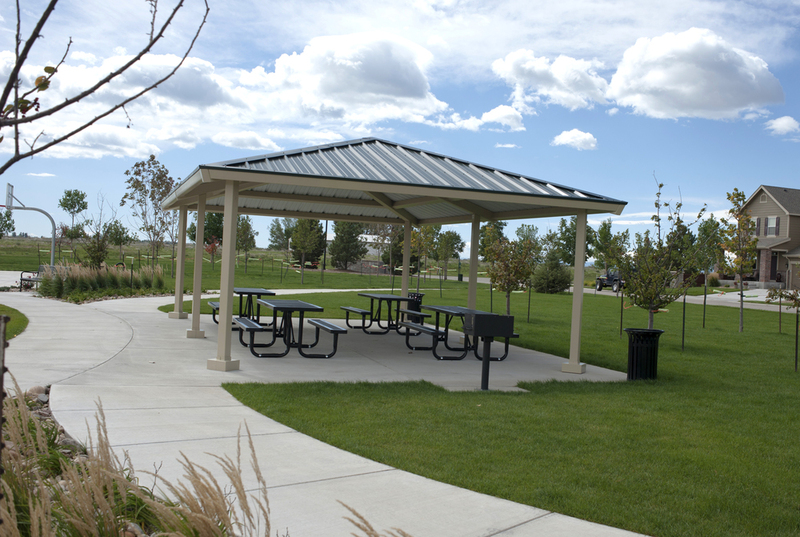 Whether you have been trying to find the right sun shelter, outdoor shelter, or park shelter, Kinetic Recreation can provide you with a durable, attractive and quality solution. Our product line includes large and mini shelters, kiosks, pergolas, and gazebos, available in various sizes and styles. It's an easy way to create a low maintenance, comfortable space for your area. Shades- Staying protected just got a whole lot cooler. Kinetic Recreation carries a full line of top-quality standard and custom shade structures that can protect nearly any outdoor recreation location. Because of our commitment to enrich community and protect people, we offer a wide range of hips, sails, cantilevers, crescents, and umbrellas. 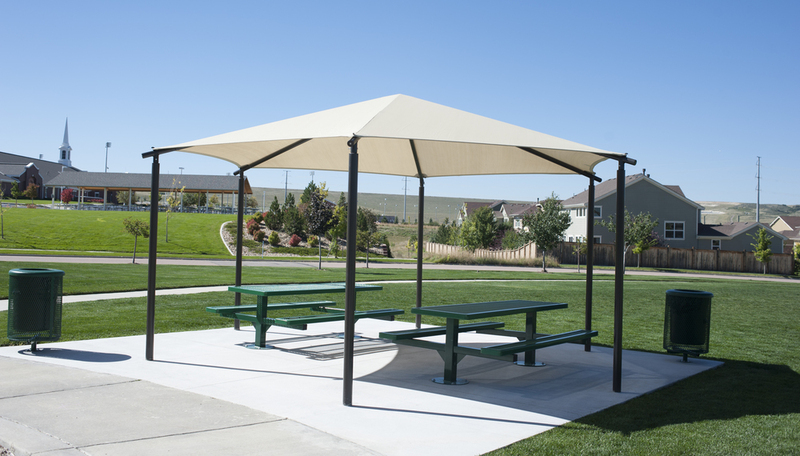 All of these shade structures are designed to deliver creative solutions and unique style, while also protecting you and those around you from the sun's harmful UV rays and encouraging longer play.